The Invader neck pickup has considerably reduced output for tonal versatility. The wide pole pieces work for both humbucker and Trembucker string spacing. Overall: After hearing countless pickups, SD Invaders kept near the top of my list. They didn't disappoint; get em man! They're full, beefy, fluid. 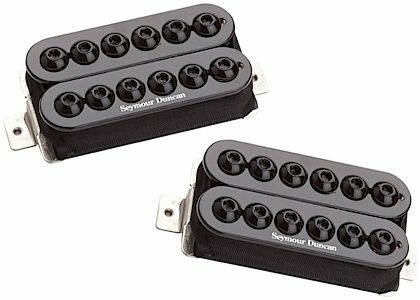 This is the pickup to solo on(if your a passive pickup guy). Overall: I put these in a Chapman ML-2 and now it burns. These are high output and really drive the pre amp stage of a tube amp while still sounding clear when you want to roll it back. Style of Music: Metal, classic rock, fusion.